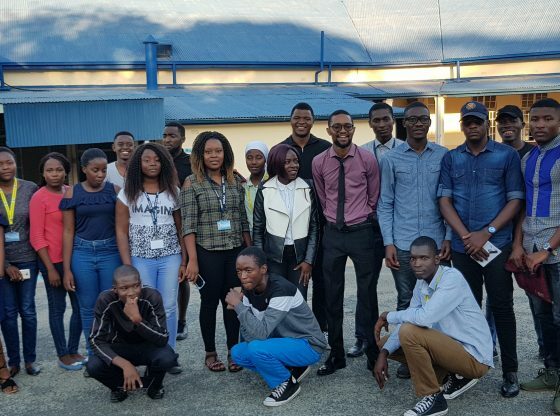 The Midlands State University’s Faculty of Mining and Mineral Processing Engineering in partnership with the World Bank recently held a lecture on innovative technologies in small-scale mining and mineral processing’ as well as ‘small-scale mining as a business’ at the University’s Zvishavane Campus. The lecture, facilitated by a renowned mining engineer, Eng. Norman Mukwakwami from the World Bank emphasised the need for environmentally-friendly, modern and efficient mining technologies as a huge academic and business opportunity for innovative students. Issues around suboptimal legal frameworks, poor organisation by small scale miners, and disregard for property rights were discussed as formidable challenges within the small scale mining sector. However, opportunities lie in mineral processing, value addition, manufacturing, and supply of small scale mining equipment as well as the provision of other essential services to the sector. The lecture was part of ongoing efforts by the World Bank to support engineering professionals, academics and students, with knowledge transfer partnerships, over and above, fostering public engagement in the engineering fraternity. Eng. Mukwakwami also said, the lecture sought to ensure that the curriculum is in line with the business world, while at the same time expanding the scope of careers for students. In his remarks, the Executive Dean of Mining and Mineral Processing Engineering, Dr Antony Mamuse said, ‘As part of MSU’s efforts to enthuse industry expertise and entrepreneurial fortitude among students, the Faculty of Mining and Mineral Processing Engineering will continue to host and collaborate with various local and international stakeholders’. The lecture was graced by the Zvishavane Campus Director, Professor Advice Viriri who hailed the move by World Bank to partner MSU in bringing education closer to the people through its multi-campus approach.